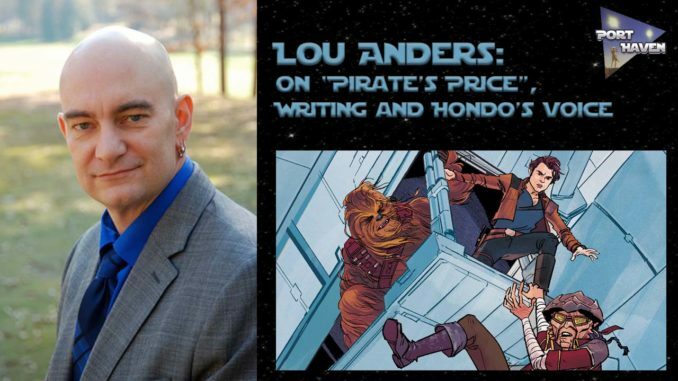 I recently had the privilege to chat with author Lou Anders about writing, fandom, and of course Star Wars. He is the author of the recent novel, Pirate’s Price, a part of the “Flight of the Falcon” series of comics and novels detailing the journey of the Millennium Falcon throughout the Star Wars saga. The novel features Hondo Ohnaka (a favorite character of mine from The Clone Wars and Rebels) telling stories of his various encounters with the Falcon. Read my interview below and be sure to pick up the book or audiobook of Pirate’s Price on sale now wherever you buy books. Let’s start at the beginning. How did you get into writing? When did you know you wanted to be an author? When did I know I wanted to be an author? Ha! I don’t think there’s one time in my life that I can point to, so much as a long period of gradual acceptance with bouts of resistance. I recall telling a friend in my final months of college, “I’m going to be a writer,” to which she responded “isn’t that what you always were?” But I will say that the 1982 film The World According to Garp, and which I followed back to the novel by John Irving, was hugely influential on me and might have been the first time I thought about writing as a career. It starred Robin Williams as the title character of T.S. Garp. Williams died six days after my first novel was released, and I wasn’t prepared for how emotional I got that day. It was only then that I realized what a colossal influence he had been on my own path through life. But I took a long way ‘round. I studied theatre in England for a year after school, then worked in theater in Chicago for two years, then spent five years in Los Angeles as a journalist, before working in the dot com industry in San Francisco for a year, followed by fourteen years as an editor of science fiction and fantasy novels before finally coming back around to writing for myself! When did you first become a Star Wars fan? What’s your earliest Star Wars memory? I remember being in a beach house of a family friend and seeing a (Time ?) magazine cover with R2D2 and C3PO on it. This was a big article with lots of pictures of droids in the desert, and it didn’t look like anything I’d ever seen before. Then when the movie came out, and I was in the theater—there’s no way to communicate that experience when Princess Leia’s Tantive IV appears on the screen and then the Imperial Star Destroyer comes overhead and you see it from below and it just keeps coming and coming and coming. In 1977, we’d never seen anything like it. Ever. You cannot imagine. Suddenly every person in the theater was in space. Right there with it. Realer than real. And then after that… Well, like everybody else that year, I must have seen the film a hundred times. How is it different writing your own novels and short stories from writing for an IP like Star Wars? I do a lot of research into history and mythology for my books. My Thrones & Bones novels are set in my world of Qualth, and I’ve got whole continents worked out and scores of countries detailed in folders and folders of notes. I like to really know a place before I start thinking about story, and so I build the environment first so that I can get really immersed in it. So for Star Wars, the research was a joy! Others have already done the world building, and I could immerse myself in it. I binge (re)watched all the Hondo Ohnaka episodes of Clone Wars and Rebels, read a bunch of novels and comics, poured over sourcebooks and wikis. It was an absolute blast. But all of that is setting. With any story, anywhere, you have to have a character, and the character has to have a problem. Once you find that, you’re off. 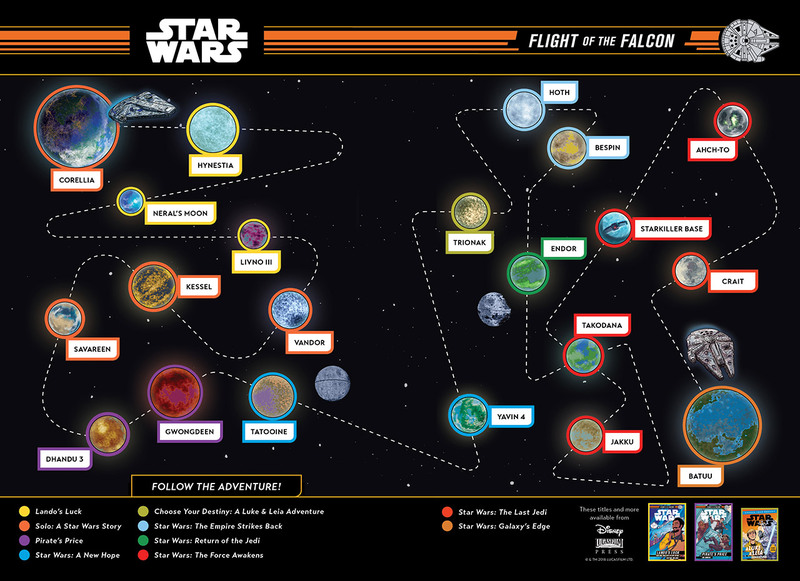 Your book, Pirate’s Price connects a lot of dots in Star Wars canon, bridging Flight of the Falcon with both The Clone Wars and Rebels, what kind of brief did you get for the story and what was the research process like? Well, I knew I was coming in at the tail end of the Flight of the Falcon arc, and I was given a lot of information about Batuu (and the upcoming Galaxy’s Edge, which is going to be A-MAZE-ING!). But apart from having to have certain pieces in certain places by the end of the book, and knowing that Bazine Netal was after the Falcon and Hondo had it, the only stipulation was that Hondo would recount multiple stories of his encounters over the years with the Falcon. So one tale takes place an unspecified number of weeks after Solo, one takes place in the years before The Force Awakens, and one takes place sometime after The Last Jedi. But what those stories were was left up to me (with approvals of course). As to the research, I talked about it above. But I will tell a story of a really fun bit of re-search. I had a scene in the book where the Falcon is being chased by three single-pilot fighters. I asked Story Group for ship recommendations, and they suggested I use the Z-95 Headhunters. So my son and I broke out our X-Wing Miniatures game from Fantasy Flight Games, and of course we had to go buy a couple more Z-95s for “research purposes”, and then we staged the exact fight I had planned for the book. We ran it through a couple times, and I took notes. And it really did shape the way the fight goes down in that chapter. And I’m still tickled about that. Every Star Wars fan loves Han and Chewie, but we at Port Haven love Hondo too. Did you have fun writing him and was it difficult to find his voice? I think Hondo might be my favorite character in all of Star Wars. He’s certainly Top Five. So I was just over the moon (moons?) for the chance to write for him. I knew from the start that the book had to be told in first person. Usually, the Star Wars children’s books are in third person, but Hondo is his voice. The voice is everything. So if he’s telling stories, then he has to tell them. I watched all the episodes again, as I’ve said, but I would watch clips of Hondo being Hondo throughout the writing process. I also watched and read interviews with Jim Cummings talking about Hondo. And I kept coming back to these anytime I felt the voice slipping. And, yes, I said every bit of Hondo dialogue out loud to make sure it rang true. Speaking of Hondo’s voice, it has been announced that Jim Cummings worked on the audio-book for Pirate’s Price too. I’m wondering if you ever literally heard that voice for Hondo in your head as you wrote the novel? Well, as I said above, the voice is everything. But what an amazing coup it was to get Jim Cummings for the audiobook. I was so so excited the day I learned he’d agreed to do it. I couldn’t do any work that day. And I’m utterly grateful to him for saying yes. He is such a talent. Also, when you think about it, even a Hondo-centric episode of an animated show may only have fifteen or twenty lines of dialogue. So this is the most Hondo that Jim Cummings has ever voiced! And I wrote it! In your Star Wars work you’ve gotten to both work with the most legendary of characters, like Han Solo. How is it different when you get to play with your own characters versus being trusted with someone else’s? When you are writing for characters everyone knows, particularly characters as popular and well-loved as the characters from Star Wars, you have to make sure that they sound like the audience expects them to sound. I spent a lot of time on Han Solo’s dialogue, testing it in my mouth, ensuring that it sounded like something he’d actually say. Maz Kanata also makes an appearance in the book. I found that I really liked her voice, so much so that I’d love a chance to write for her specifically again. If you, yourself, were a Star Wars space pirate, what would your space pirate name be? Well, if I use one of those “Find your Star Wars name” algorithms off the Internet, I get Louan Admob of Sremonza. I’m not sure about the name, but Sremonza sounds really cool. Let me play around with that. How about we reverse the last name: Bomda and take the place name as a surname. Okay, I’m Bomda Sremonza, feared pirate of Wazzit 4. If you could write any character in the Star Wars universe for a future project, who would it be? Oh, I think I just answered that. But the real answer is Hondo again! Or maybe a story of Hondo and Maz Kanata having an adventure together. I’m a huge Star Wars Rebels fan, and I’d jump at the chance to write for Zeb Orrelios, Sabine Wren, and/or Hera Syndulla in a post-Rebels adventure. Yoda. Kit Fisto. How about that kid with the broom on Canto Bight? Honestly, Star Wars is a blast to write for, and it has so many great characters. I’d love to write for any of them. For readers who are discovering your work through Star Wars, what would you want them to know about your other work? I write big fantasy stories based on mythology with lots of monsters, magic, and humor. When I set out to write the Thrones & Bones trilogy, my goal was to tell the kind of sword & sorcery stories that delighted me when I first started reading fantasy, but to make sure that the narratives had lots of strong female characters and were more ethnically diverse than the tales I grew up on. My co-lead is a girl whose father was a frost giant and her mother human, so depending on where she is, she’s either the littlest giant or the biggest human being. She and her companions are adventuring across thousands of miles and experience cultures based on Norse, European, and Greek mythology. My goal was to write books that were appropriate for eight to ten year olds, but which could be read and enjoyed by adults as well, and which appealed to girls and much as boys, women as much as men. I hope your readers will check them out. You’ve also done some nonfiction work before, including some writing about science fiction as a genre. How did that inform the way you approached writing Star Wars? Oh, I spent five years writing about science fiction film and television for British magazines. I spent a lot of time on the sets and in the writers’ offices of Star Trek and Babylon 5, talked with a lot of Doctor Who actors, and I got to visit Skywalker Ranch once too. 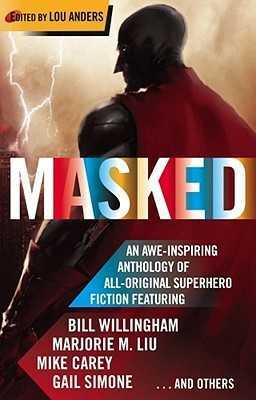 And as an editorial director, I edited over two hundred novels and quite a few short story anthologies. I’ve spent decades immersed in science fiction and fantasy. It’s just who I am. What upcoming projects can you tell us about? Well, I can’t say much, but I’m currently in rewrites on a novel that deals with unicorns who live alongside two fairy courts, one ostensibly good and one quite bad. And when I say fairy, I’ve really gone back to the “good neighbors” of Celtic mythology, who were a lot less nice and a lot more scary than a lot of fairies in popular media today. So while the book is light and fun, it’s also got an edge to it. It is set in the same world as the Thrones & Bones series, but on an Avalon-like island that’s off of and hidden from the main continent. It’s an absolute blast to write, and very different from anything I’ve done before. But that’s what keeps writing fun. 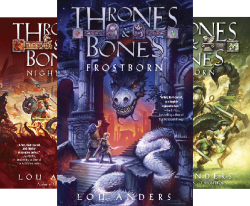 Lou Anders is the author of Frostborn, Nightborn, and Skyborn, the three books of the Thrones & Bones series of middle grade epic fantasy adventure novels, as well as the novel Star Wars: Pirate’s Price. When not traveling to a galaxy far, far away, he’s a very enthusiastic dungeon master for three Dungeons & Dragons campaigns, a big fan of Harry Potter and the whole of the MCU, and a 3D printing hobbyist. He lives with his family and a golden doodle in Birmingham, Alabama. You can visit him at louanders.com, on Twitter at @LouAnders, and on Facebook.